Amidst much speculation, the BCCI today announced Team India's squad for the ICC Cricket World Cup 2019 to be held in England and Wales this summer. India's selection committee led by chief selector MSK Prasad termed it a strong and balanced squad that covers all bases. Virat Kohli will lead the 15-man squad and the notable names include newbie Vijay Shankar as well as the experienced wicket-keeper batsman Dinesh Karthik. 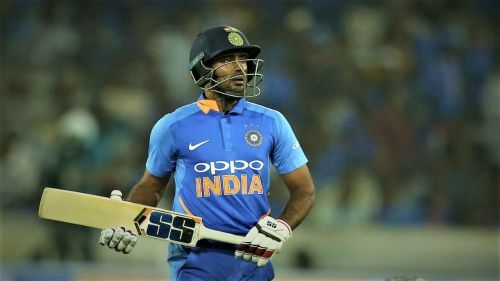 Meanwhile, Ambati Rayudu and youngster Rishabh Pant remain the major absentees from the Men in Blue's squad for the quadrennial event. Karnataka batsman KL Rahul has been included as the reserve opener in spite of his inconsistency with the bat in the 50-over format. With New Zealand and Australia announcing their squads already, India became the third team to name their 15-man World Cup squad. While the showpiece event kicks off on May 30th with hosts England taking on South Africa, India begin their campaign against South Africa at Southampton on June 5th. Though this Indian squad looks strong and challenging, you can't help but wonder how different it is from the 2015 World Cup squad, and whether those players could have made a difference in 2019. Team India's 2019 ICC Cricket World Cup Squad: Virat Kohli (captain), Rohit Sharma, Shikhar Dhawan, Kedar Jadhav, MS Dhoni, Hardik Pandya, Ravindra Jadeja, Mohammed Shami, Kuldeep Yadav, Yuzvendra Chahal, Jasprit Bumrah, Bhuvneshwar Kumar, Vijay Shankar, KL Rahul, Dinesh Karthik. 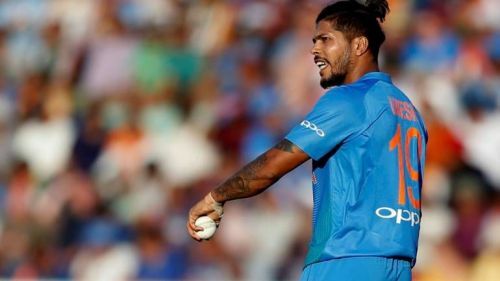 Umesh Yadav, who was one of the strong contenders for India's fourth pace bowler spot in this year's World Cup squad, was one of the star performers with the ball for the MS Dhoni-led Indian side at the 2015 World Cup in Australia and New Zealand. With his fiery pace, Yadav was India's leading wicket-taker (third overall) in that tournament with 18 wickets in eight matches, with his best figures being 4/31. Yadav was instrumental in India's dominant bowling display throughout the World Cup which led them to a semi-final finish. But inconsistent performances in the past few months made it difficult for the Vidarbha pacer to make the cut. Nevertheless, the experience and bowling credentials of Yadav will be missed by Team India this summer.